If there is one rite of passage into modern adulthood it’s doing laundry. No one actually likes to do laundry, but if we don’t do it we have nothing to wear, and if we do it wrong we end up walking around looking like something dropped on, ripped from, nibbled at or otherwise ruined our clothes. Make sure you look your best while you conquer the world by sorting your laundry immediately. Washing alone several times in case the colour runs. When it does come time to clean your laundry, the best way to start is by sorting your clothes. First sort by colour, even if you only do a “lights” and “darks” pile (to avoid anything running or staining). Once you have similar colours combined, have another look at the washing instructions inside each. 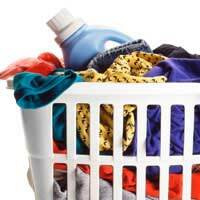 Usually garments require either a warm or cool wash, so make sure you again sort accordingly. Finally, have a look at the soiled items. If anything contains a heavy amount of dirt, such as trousers that became encrusted with mud or socks that soaked up a blood blister, consider washing these alone. Makeup, particularly lipsticks in pockets. Belts, pins, jewellery or other accessories that may still be attached. Tears or holes that may widen during washing. Strings that could get snarled during washing. Pre-treatments, such as stain removers that can be applied before washing. “Black wash” for dark colours and denims. Even the most experienced laundry experts have to wish for good luck sometimes, particularly when confronted with strange stains, unique colours and new cleansers. If doing laundry is something new for you, don’t beat yourself up if your first attempts aren’t the best. Resolve to become a laundry protégé and some day soon you’ll be striding across campus in clothes that positively sparkle. That will get everyone’s attention!